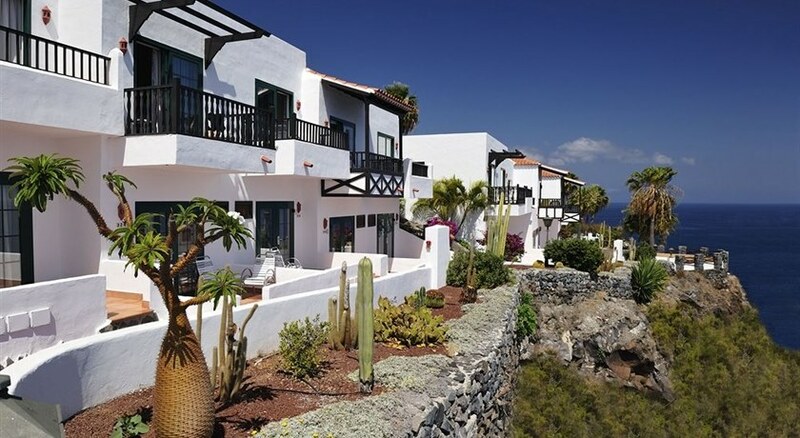 The Hotel Jardin Tecina has a great cliff-top location overlooking the attractive fishing village of Playa Santiago, on the southern tip of La Gomera, the second smallest island of the Canaries. This distinctive hotel has an architectural style in-keeping with the local character and is set amid 70,000sqm of gorgeous lush gardens. From Summer '11 the hotel offers a new Kids Club Programme (4-11yrs) which offers extensive activities, classes and entertainment. The warm friendly service mixed together with the peaceful, scenic ambience of the setting makes the Jardin Tecina perfect for a much-needed family holiday. 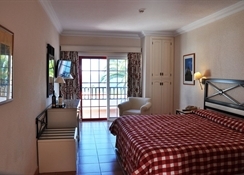 Book it today and enjoy the great climate of the Canaries. Local Tips: Enjoy the beauty of the environment and relax while the children are entertained in style! Hotel Jardin Tecina has been rewarded with the Tripadvisor 2015 Certificate of Excellence and Tripadvisor green leaders Silver. The Jardin Tecina has plenty for everyone to engage in or relax to, leaving you all feeling completely refreshed. Food, drink and entertainment: Restaurant Barbacoa Piscina serves a la carte lunch menu and daily specialties, Barbacoa Club Laurel serves BBQ meat & fish, Principal Restaurant serves buffet-style dinner, International Restaurant for international cuisine, snacks & sandwiches, Bar Kristina, Pool bar; hotel animation team hosts daily/evening activities programme. Sport, games and activities: Swimming pools (seasonally heated) and sun terraces, Fitness Centre, Health & Beauty Centre, 4 tennis courts, 3 paddle-tennis courts, 2 squash courts, multi-purpose court, table tennis, darts, pool, crazy golf, reduced green fees for golf course (2 minutes away), and lift access to Club Laurel's seawater pool. Club Laurel is now also offering a Chill Out Zone with Balinese beds and a Volleyball zone. This is along with the other services such as a sea water swimming pool, Solarium with deckchairs and parasols, a BBQ with snacks service for lunch and dinner a la carte and Mini Golf. For the kids: Swimming pools (seasonally heated), and a Kid's Club Programme with tennis lessons, botanical walks, crafts, language courses, cookery lessons, dedicated buffet area in restaurant, and plenty of entertainment. Additional: Reception service, housekeeping, WiFi internet area, shopping access to: bazaar, souvenirs & newspapers, welcome package for honeymooners, and conference room (maximum 150 persons). The hotel is situated on a rock, only 50 metres from the beach, which may be accessed using the hotel lift. Guests may enjoy a spectacular view of the ocean and mountains. In the immediate vicinity guests will find a link to the public transport network and San Sebastian is around 30 km away from the hotel. 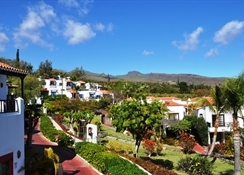 The resort comprises a total of 434 double rooms and a 70,000-mÂ² garden. It offers an amazing number of facilities, including 5 bars, an auditorium, a games room, a TV room, a breakfast room and a restaurant. There is also a children's playground and a kids' club for younger guests. Furthermore, there are conference facilities and public Internet access available. 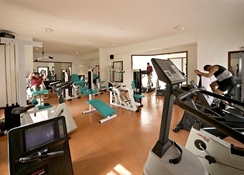 Guests may enjoy spending time in the indoor and outdoor pool complex and making use of the sports facilities available on site. The hotel also features a golf course which is only 5 minutes away. Guest rooms available are Doubles – Standard with garden view, Comfort with side sea view or Superior with sea view, and Singles – Standard with garden view. All are furnished for comfort and designed to maximise the space available, offering modern amenities, and a furnished balcony to enable you to appreciate the lovely hotel setting. Half Board is compulsory for Christmas period therefore the HB supplement is included in the Bed & Breakfast rate.